Welcome to this month’s edition of WinterHaven SnowPeak, where we give you a recap of our events, a little sneak peak of what’s to come, and what we’re most excited about. January was again another AWESOME month for the WinterHaven Team! 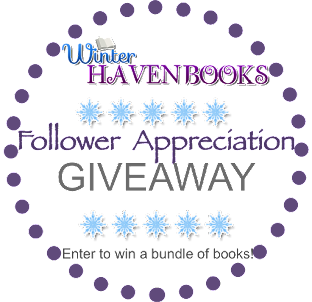 This last month, we launched our 1000 Follower Appreciation Giveaway! For those of you that joined us for the celebration, you’ll know we are giving away a Kindle Fire eReader, Leather Case and an Amazon Gift Card. We’ve had an amazing response, so thank you to everyone that posted comments on the thread. It’s not too late to enter the giveaway, so go HERE for a chance to win and stay tuned when we make the big WINNER announcement in one week!! Our much-anticipated Cupid Cloud Hop begins tomorrow, so sharpen your bows and aim your arrows for what’s sure to be a fun event! 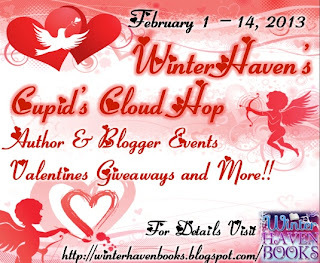 WinterHaven and the Cupid Cloud Hop Bloggers are ready to host Sweetheart Reviews, Book Boyfriend/Sweetheart Couple Book Spotlights, GIVEAWAYS and more!! 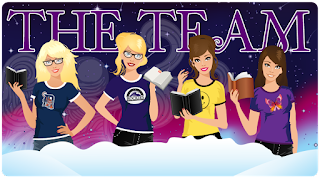 You can visit our CupidCloud Hop page for more details and a linky if you’d like to join. 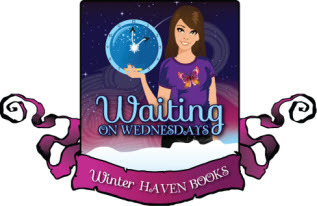 WinterHaven is hosting giveaways for participating bloggers, so don’t miss out and check out the Cupid page for more details! Also, do you remember our October 2012 Authors Fright Fest?? Well for our Cupid Cloud Hop we will be hosting an Authors Love Fest. Be sure to visit us on Valentines Day, February 14th when we unveil the participating authors and their fun facts. 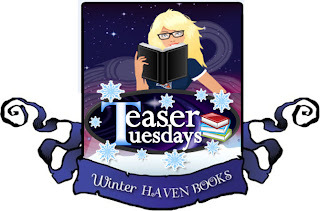 We are also participating in several cover reveals to help topple your TBR. 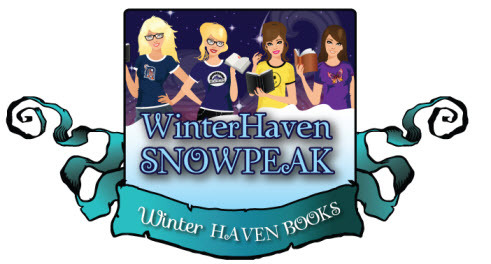 Aside from our Cupid Cloud Hop Event, Upcoming Blog Tours & Hops, WinterHaven has TWO Big Announcements coming this month. Okay, we won’t end this without a little hint for each. 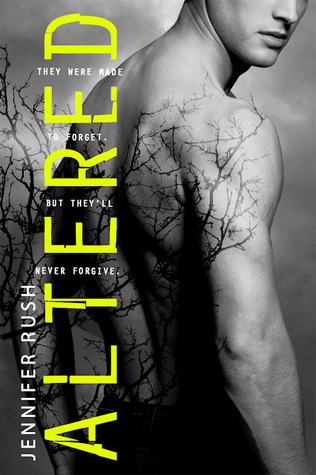 Any Team Aidan or Team Seth fans out there??? Any avid book readers that would like to add some ARCs to their shelf??? There's something about the description of this book that just screams my name. Set aside the fact that I love Sara Zarr's writing, I enjoy that I never quite know what to expect from one book to the next. 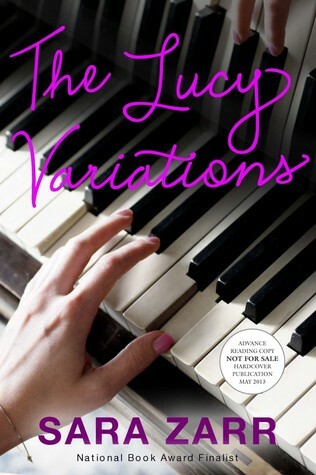 I'm eager to read this novel and get to know Lucy. I'm curious about who betrayed her and who she lost that caused her to walk away from a coveted talent. This book sounds like something I will definitely enjoy. Yes please! Sooo what book are you waiting on? Link me up!! Both of these books are phenomenal reads and we are so excited to offer them both to one lucky follower! You know the drill by now so get going and Good Luck! 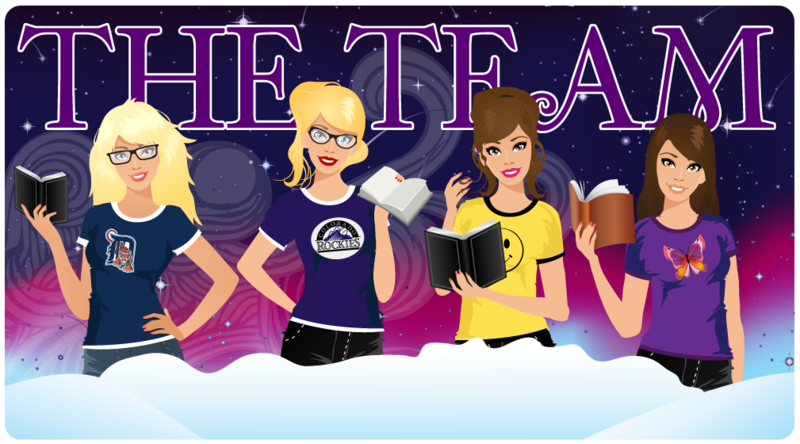 Don't forget to check out all the other blogs participating in the hop! "Why?" His eyes found mine, and there was this appeal in them, this hope. I couldn't crush it. Because I wanted to encourage it. I want to encourage him." "Maybe that's just it. Maybe I need to find out what it is about him that makes my head spin." 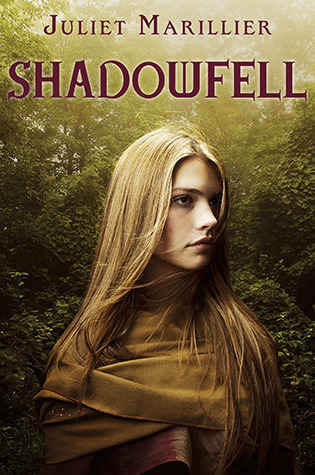 If you are a fan of fantasy, magical beings and a story with depth, Shadowfell would be for you. This was a book recommended to me by a good friend, and I knew by reading the summary that it was one I had to read. Don’t be fooled by my rating. This is well worth the read. I love when I discover a deeper meaning behind a characters journey than just the act of moving the story forward. Neryn’s father succumbed to his gambling and alcohol compulsion. He, like so many others in Alban had lost their way due to the malevolent King Keldec. Canny skills were forbidden to the ordinary folk. Keldec sent out enforcers to wipe away anyone that possessed these magical abilities, and cruelly used the ones he kept in his grasp. And, he wanted Neryn. Neryn was gifted, and this gift had been a secret between her and her father, but when he drank, she was afraid he would lose his mind and speak the unspeakable. A tragic scene set the story further in motion. Neryn escaped enforcers with the help of a hooded man, who eventually is threaded back into the story with mystery and a greater purpose. Neryn accepted a challenge to stand up for justice, and the battle she agreed to fight was for Alban’s freedom. That meant a new king and a new rule. On her journey to Shadowfell, Neryn not only had a series of tests to pass, but she was on a personal journey as well. Along her path, she was reminded of the wise words her grandmother spoke to her, an education of sorts that helped guide her on her path to being something more than she ever could have imagined. Neryn had help along the way from The Good Folk, and Flint, the hooded man. This enjoyable story kept me intrigued and allowed me to escape into a whole new world full of tragedy, self-discovery, and compassion for the people in Alban. There was a specific scene where Neryn met a couple with a special circumstance that broke my heart, but played a vital role in showing the reader more about who the protagonist Neryn really was. That was one of my favorite scenes throughout this story and it was deeply touching. I love when a protagonist is a fighter and faces obstacles head-on for the greater good regardless of the struggles to get there. That was how Neryn was. She was strong and didn't allow herself to give up because it wasn't just for her; it was for the people she’s loved and lost, and the ones who reside in Alban. Flint was a mysterious character. Through most of the story I was just waiting for him to betray Neryn. The more we learned along the way, I truly understood why he acted the way he did. I really liked him and the connection he and Neryn developed. I would have liked to see a drawing or a map of Alban. There were many landmarks mentioned throughout and it would have been nice to see where they were. The imagery was great and easy to imagine. The story ended with a perfect opening into the next book. 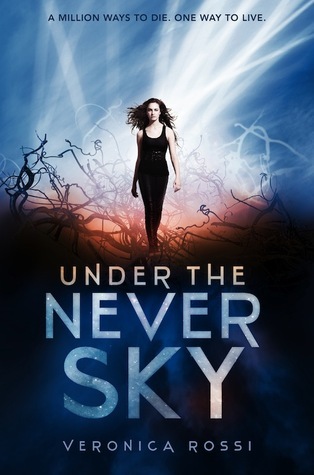 I can't wait to find out what is going to happen with Neryn, Flint, and the Good Folk. Give this enchanting story a try. After a year of being enslaved in the Salt Mines of Endovier, Eighteen year old, Celaena Sardothien was doing her usual job of cleaning the salt from the mountains when she was dragged off to a secret meeting to see no other then the crown Prince of Adarlan/Erilea himself, Dorian Havilliard. He has a proposition for her. His father, the King of Adarlan is looking for a Champion, someone who will...take care of his more difficult opponents and since Celaena is imprisoned for being one of the greatest assassins in Adorlan, naturally, the Prince would remember her. If she chooses to accept this offer she will be granted freedom after a few years of service, if not then she goes back to the Mines to surly die. But there's a catch. The position isn't her's yet. The King has made arrangements for a little contest between other thieves, assassin's and warriors. They are to be trained at the glass castle and ultimately compete. The one to win will be the 'official' Adarlan Assassin to the King and Prince of Adarlan. 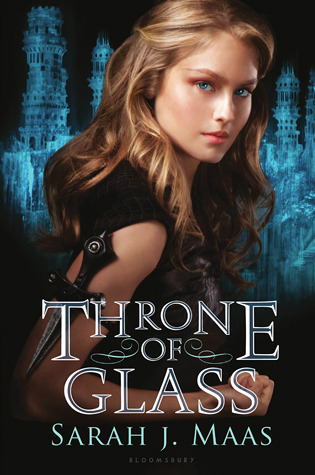 Throne of Glass is a very rich and deep high fantasy story that has just about everything you could ask for. Suspense, intrigue, mysterious graphic deaths and even a touch of magic to satisfy any fan of this genre. It's hard to believe this is the Sarah J. Maas debut novel. Her writing is fantastic. For such a detailed plot she does a remarkable job of knowing exactly where each scene should fall. 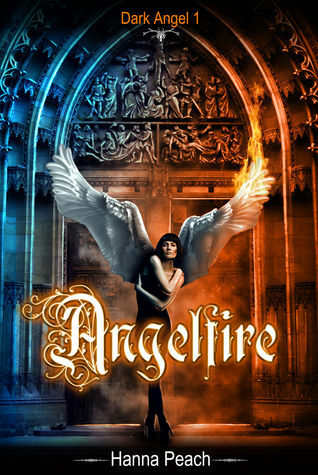 In any high fantasy reads I always expect some kind of politics, something that's my least favorite aspect in my reads, but it wasn't overly expressive and I was able to keep up. Court is stiff and dull but it also had it's moments of amusements. My favorite part of the story was the intense training, testing and fighting. Maas knows how to write one helluva fight scene. Very entertaining and exciting stuff. And then there is also the mystery of what or who has been killing the competing champions so viciously. It wasn't overly graphic mind you, but it was enough to paint a rather horrific picture. 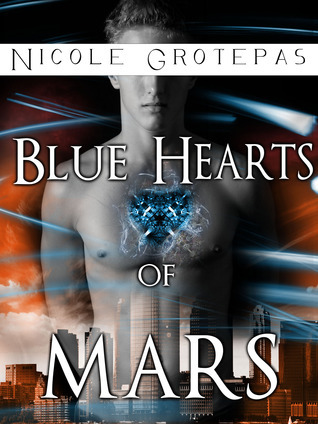 That was an unexpected little twist in the plot, further proving that Maas knows how to keep her readers on their toes. I was surprised how quickly I got attached to these characters. Celaena is such an amazing protag to cheer for. She's fiery, fierce, spunky, witty, brave, skilled and arrogance. But it was also great to see a warmer side to her. The side that enjoys reading and dancing. The side that makes her feel more human and less hired killer. Prince Dorian rather surprised me as the story moves on. I mean, he's a prince, royalty, you would think that people like Celaena would be someone to squish with his shoes and yet, he turned out to be kind and charming and very different from his ruthless and cold father. I really enjoyed those moments between them. And then there's Choal Westfall, Captain of the Guard. When we first meet Choal he's obviously not well liked. He's harsh, unfeeling and doesn't think twice with someone who is a mere thief and prisoner, but as the story moves on and he starts to train her for the competition, we see some of those bitter and guarded walls come down as she earns his respect and admiration. I loved the banter and playfulness between Celaena and Choal. The affections and attraction was subtle but obviously sweet at the same time. They made me laugh and smile one of those stupid grins. Now, I know that some readers don't like the whole love triangle thing, but I myself don't mind it. Always did love the spin of complications and conflict. As for this particular one, I actually like both men so much that I can't decide who I like more. I am however very curious how things will play out in future books. All in all, I really enjoyed myself with this book. The writing is outstanding. There is a lot going on plot wise but it doesn't drag or isn't dull down. 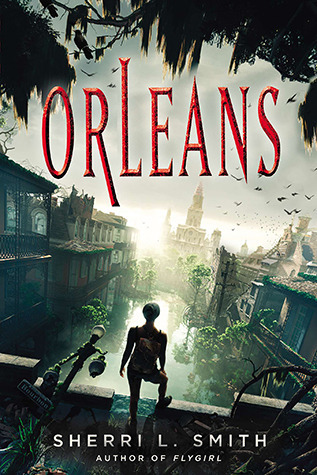 There always seems to be some part of the story thickening up which kept the experience absorbing and interesting while these characters won my heart and kept me invested from start to finish. The POV in this story alternates between Annie and Fia, two sisters each with very unique abilities. The time setting also changes from present time to the past making things even more complicated, but still in my opinion unique and amazing. The overall storyline is not simple either. It involves lots of espionage, murder, calculating, and deception. Annie and Fia are both being used for their abilities but Fia is the one that everyone wants. It isn’t really clear what her ability actually is until later in the story but believe me it is one of the best creations I have ever read. When Fia can’t take things anymore she starts to take things into her own hands, but with all eyes on her and her sister to protect she doesn’t have many options. 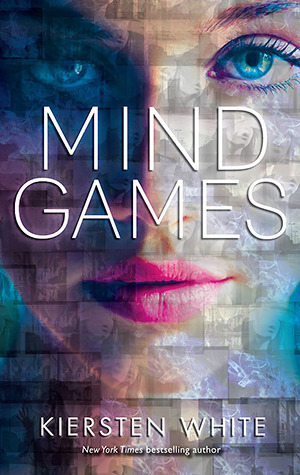 This story is really just the beginning, we get to see the background and the why of everything but I think the true story will start in the next one since Fia made a HUGE decision at the end of Mind Games and it is really a game changer for everybody. I honestly just want to squee from the roof tops about this book. I know my review is all over the place but I just can’t seem to find the words to do this book justice. Mind games is unique, amazing, interesting, and so so much more. I was so shocked at so many things that happened throughout, that by the end of the story I was exhausted emotionally and in shock over what is to come. I don’t know how I am going to wait for the next book! Here is a look at our weekly recap! 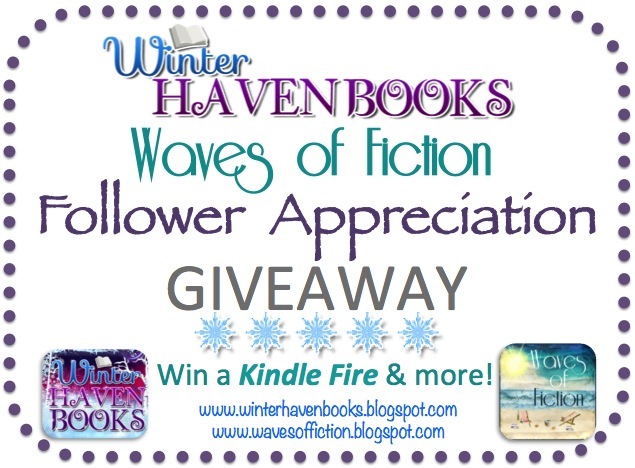 Follower Celebration--Win a Kindle Fire & More! Today, we have the pleasure of joining Shane from Itching for Book in hosting a stop for Kristin Halbrook's debut novel, Nobody But Us. 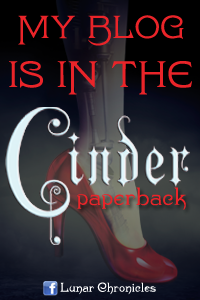 For our stop, we are sharing an excerpt of the book along with a tour wide giveaway. Enjoy! I have two excerpts from the book to share. One from Zoe's perspective and one from Will's. Enjoy!! 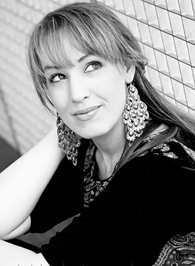 Kristin Halbrook is a Seattleite who loves good coffee, good food, good music, good sports, good causes, and good reads. She’s both intense and a goofball, introverted and gregarious. 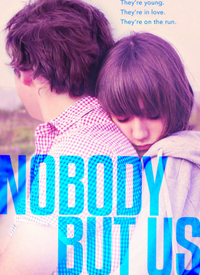 Nobody But Us is her debut novel. 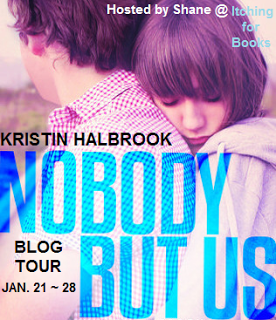 Be sure to visit the other tour hosts for the Nobody But Us Blog Tour. You can go HERE for a listing of participating blogs. 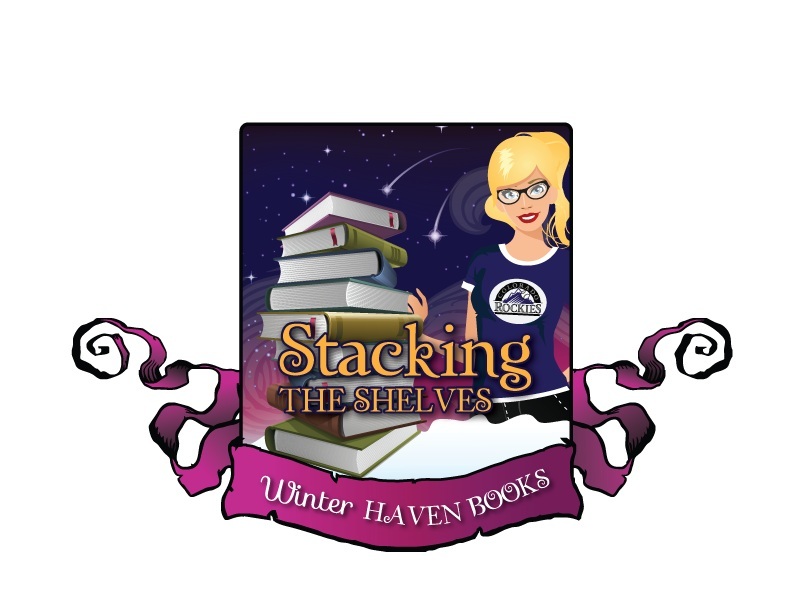 And now for a special giveaway hosted by Shane at Itching for Books and the author Kristin Halbrook. YA – Full description to come. I’m not sure what it is about this book… Maybe it’s the cover, or possibly it’s the minimal information on the book, or the fact that I’ve never read a story by K.C. 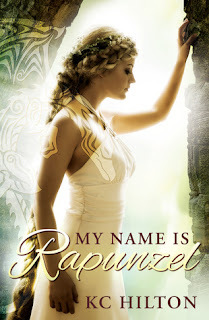 Hilton so I have no clue what to expect… but I’m excited to try out My Name is Rapunzel by K.C. Hilton. I’m a fan of fairy tale re-tellings, and I love the story of Rapunzel. I’m sure I’m not the only one that watched Disney’s Tangled and gasped when Flynn Rider cut off Rapunzel’s hair at that epic moment. Holy Magic Kingdom!! How unexpected was that? Anywho, I digress. Point being, I like this story in its original form, so I’m extremely curious to see what K.C. Hilton has in store for us. Sooo what book are you waiting on? 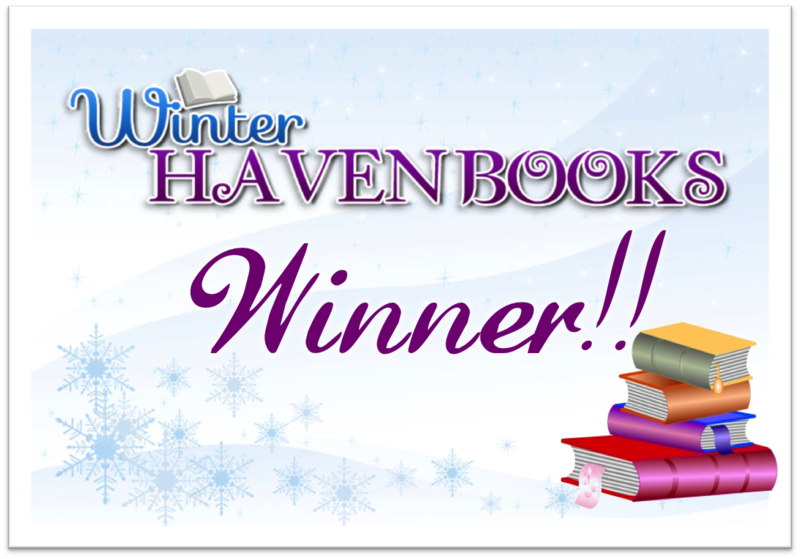 WinterHaven Books has several giveaway winners to announce!! Check your email ladies and please get back to us so we can get your prizes to you. 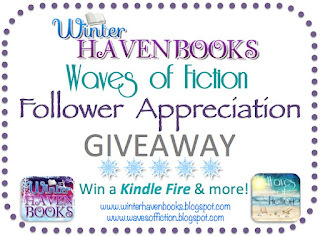 Don't forget to visit our Giveaways page for more awesome chances to win including a Kindle Fire eReader!! 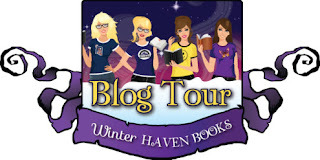 Thank you for visiting WinterHaven Books! "Aria's gaze moved to the chair next to her. It shouldn't be empty. Her mother should be there instead of hundreds of miles away." "Aria looked down at the table. She didn't want to picture Soren with disfiguring scars. She didn't want to picture him at all." p.s. Please tell me there is a movie in the works!! Mila 2.0 was moving, and an emotional journey. When I started this book, it took me a few chapters to really feel an emotional connection. I felt Mila was a little whiney but as the story progressed, I became deeply committed. This story is about a young girl who has no idea of what her true nature really was. As far as she knew, she was a typical teenager, rebellious and hurting from the loss of her father and moving to Minnesota away from the only home she had known in Philly. 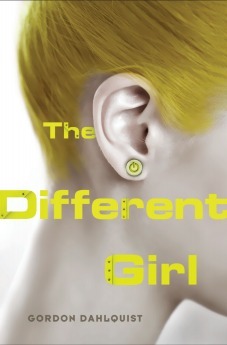 The story picked up when an incident occurred and Mila learns that she is so much more than the “normal” teenager and the memories of her childhood were mere implants. Strange things begin happening to Mila and the adjustment of the truth and what wasn’t began the emotional connection for me. Mila had truly shown real emotion when she connected with a classmate named Hunter. I really liked this character and although he seemed like a great guy, I feel there is more to him than we are led to believe. On the run, Mila and her Mom fled Minnesota as the truth began catching up to them, and the guy who’s behind the Mila project. This chase is adrenaline fueled and your pages will be flipping. The love that Mila’s mom has for her only truly begins to shine through. This story is so much richer because not only does her mother stop at nothing to save Mila and her humanity, but because Mila’s humanity was real and she fought for it for both of them. Mila had to pass tests in order to see her mother and was to hide the very thing she had fought for in order to do so. This may not make sense to you right now, but once you read this story you certainly will understand. Luck had not been on their side as there was a force that regardless of how well Mila did, it wasn’t going to be enough. I felt frustrated through this testing process but at the same time, my heart ached for Mila because she really was like a human and wanted nothing more than to live a life of normalcy. There are many roadblocks for this strong protagonist to face and many new revelations as to her past and her future. Just when Mila was beginning to lose hope, an act of compassion was shown which turned the tides in her favor. I was rooting for Lucas, Mila and her Mom. This story left off on a cliffy if you ask me. It left the doors open to so many possibilities. I can say without a doubt I will be waiting for that next book. This story was character driven and the plot was set nicely. I loved the characters and the emotional connection I had with them. The bad guys were bad, the good guys were good, and the author played her cards with precision. I never anticipated she would go to a particular depth, but I was surprisingly wrong. As much as it hurt, It was a pivotal point in the story. 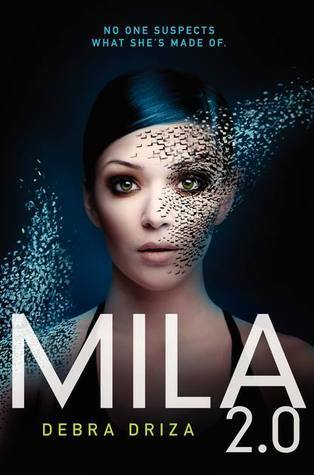 Mila 2.0 was a fantastic debut. When you can’t trust yourself, who can you believe?Everything about Anna’s life is a secret. Her father works for the Branch at the helm of its latest project: monitoring and administering treatments to the four genetically altered boys in the lab below their farmhouse. There’s Nick, Cas, Trev . . . and Sam, who’s stolen Anna’s heart. When the Branch decides it’s time to take the boys, Sam stages an escape, killing the agents sent to retrieve them. Anna is torn between following Sam or staying behind in the safety of her everyday life. But her father pushes her to flee, making Sam promise to keep her away from the Branch, at all costs. There’s just one problem. Sam and the boys don’t remember anything before living in the lab—not even their true identities.Now on the run, Anna soon discovers that she and Sam are connected in more ways than either of them expected. And if they’re both going to survive, they must piece together the clues of their past before the Branch catches up to them and steals it all away. 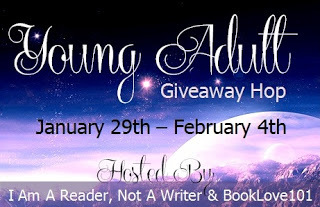 YA2U--The Book Signing of the Century! !